A return to Ascot for the Gold Cup at next year's Royal meeting is now the long-term plan for Forgotten Rules. On only his third career outing, the four-year-old, the 3/1 second favourite, belied his inexperience to beat Biographer, with Pallasator a neck third. 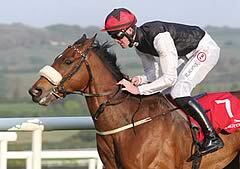 Forgotten Rules has won all three of his outings, starting with a Punchestown bumper in April and following up at Galway in the same race taken by Rite Of Passage, trained by Weld to win the 2010 Gold Cup and the QIPCO Long Distance Cup in 2012. "He showed ability at two," said Weld of the son of Nayef, owned and bred by Moyglare Stud, "but he was babyish, so we left off him. Then he got sore shins at three, so we stopped with him again. And now here he is as a four-year-old. I love training these stayers and hopefully he can become another Rite Of Passage. His target will be the Gold Cup next year, provided there is a bit of ease in the ground. "I knew the ground here would not be a problem for him. I thought his inexperience would be the only danger but he knuckled down really well." Weld recognised Forgotten Rules' talent early, but was not prepared to rush him. "Patience always pays dividends," he added. "but you must know they've got ability to start with, otherwise it's a waste of time. "This is a gorgeous horse to train, very good and straightforward in his mind, and maturing all the time. He was impressive at Punchestown, more so at Galway, and we know now we've got a racehorse." 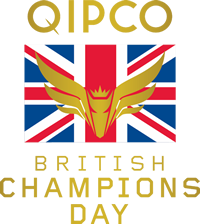 The least-experienced horse in the QIPCO British Champions Long Distance Cup proved the fastest. Forgotten Rules, a four-year-old who had run in just two races and won them both - a bumper in April and a Flat race in August - triumphed in great style, albeit showing greenness as the field pressed on turning for home. He drifted right when challenging a furlong and a half out. Jockey Pat Smullen said: "I knew I was always going to get to the lead because he has such an unbelievable stride. I didn't want to get so far back early in the race, but they went a good gallop and he was a bit sluggish out of the gate. "He handled the ground very well for such a big horse and he ran around a bit as he went to the front, but it was only his third run and there is a lot of improvement to come. He settled lovely and while I didn't expect him to be as green as he was that was to be expected. "He'll handle better ground, but the only thing that would worry me would be the firm ground we are likely to get in mid-summer." The David Lanigan-trained Biographer defied his odds of 25/1 when losing out by a length and three-quarters to Forgotten Rules. Lanigan said: "I couldn't believe it when I saw he was 25/1 this morning because he had finished in front of Estimate in the race last year. My horses weren't right earlier in the season and he handles this soft ground better than a lot of them. "We'll come back next year and he deserves to have his day eventually." Jockey George Baker added: "He ran a solid race, travelled well and got beaten by a good horse." Estimate, owned by The Queen, finished the tailed-off last of nine. The Queen's racing manager John Warren said: "Ryan (Moore - jockey) said the ground was like a ploughed field, but it is the same for all the horses. He said the minute he jumped off Estimate was never right. In the back of his mind all the way through was this was her last race. He was at her to try and lay up but she was never comfortable at any moment. It is now off to stud. "Sir Michael (Stoute - trainer) felt there were circumstances last year rather than the ground which meant she wasn't quite right. He had a notion, quite rightly, that Monsuns tend to go in the ground, but it takes specialist to deal with today's going. "The long and short of it is that she is now off to stud. You cannot take the good things away. I think Estimate gave The Queen the biggest thrill she probably ever had (when winning the 2013 Gold Cup at Royal Ascot)." Leading Light was hampered by eventual winner Forgotten Rules, suffering injuries to his front legs. "It's very disappointing," said trainer Aidan O'Brien. "He has two very bad injuries to both his front legs and there's a chance he might never race again." Discussing the skirmish which injured the four-year-old, who also won the 2013 St Leger, O'Brien added: "It was an unfortunate incident and the unfortunate part was the horse came out of it the wrong side."